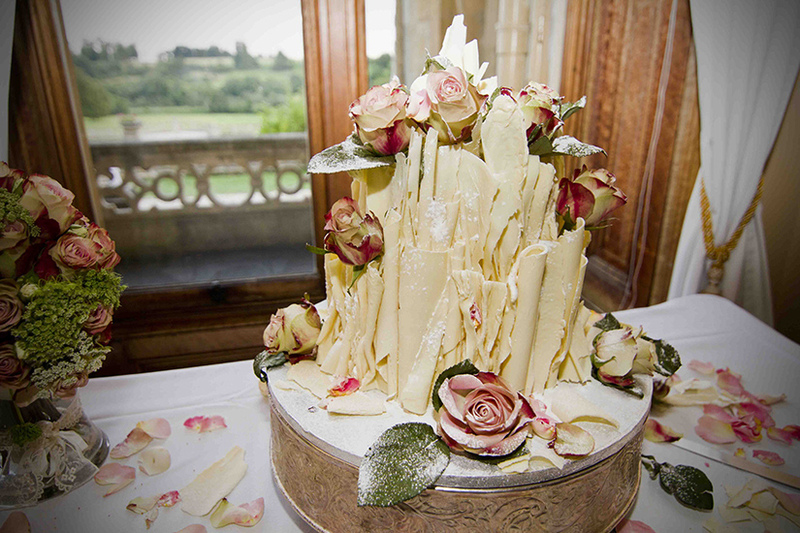 Based in her studio in central Bristol, Lizzie Melling (Chocolate Delores) bakes and creates her range of truly stunning, exquisite and intricately-fashioned chocolate wedding cakes. 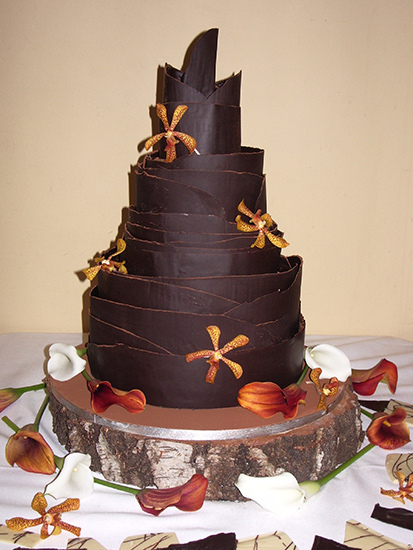 You can have one of Chocolate Delores' stunning cakes (which all feature only organic locally-sourced ingredients) at your wedding from a mere £200. 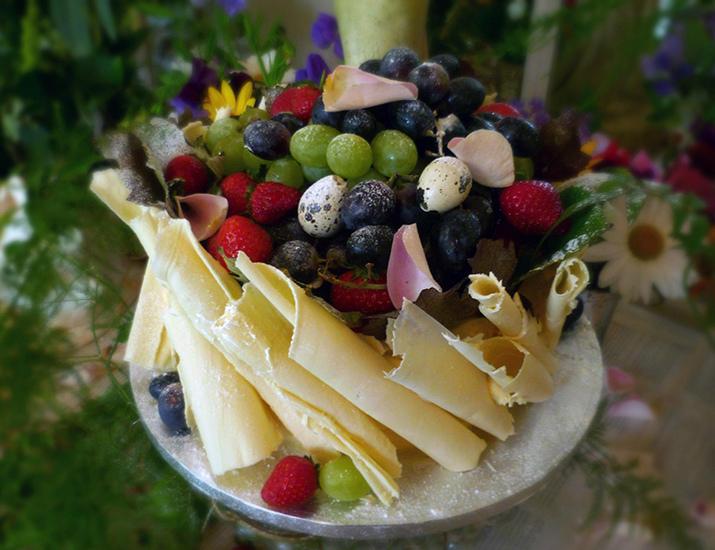 Featuring cakes quite literally overflowing with fruits, truffles and plenty of cocoa, Chocolate Delores is capable of creating some of the most delicious and visually impressive cakes available in the South West. 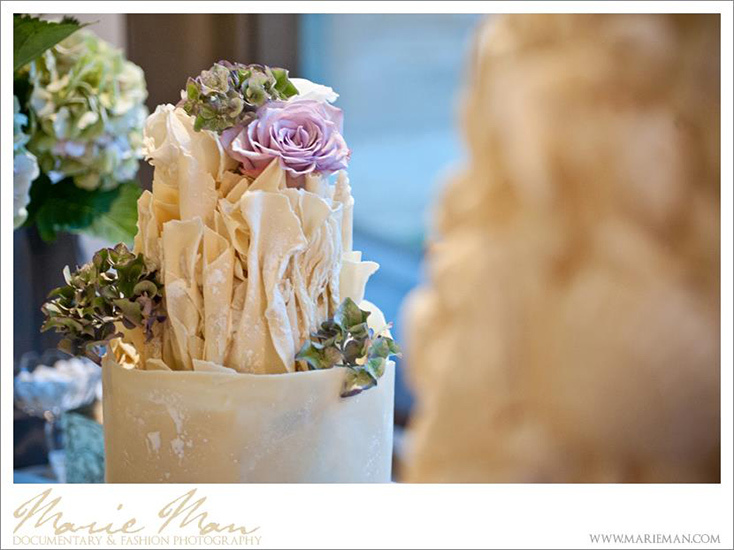 Lizzie applies a whole range of lavish techniques and ingredients throughout the entire process, from design, baking and icing to delivery, set-up and decoration. 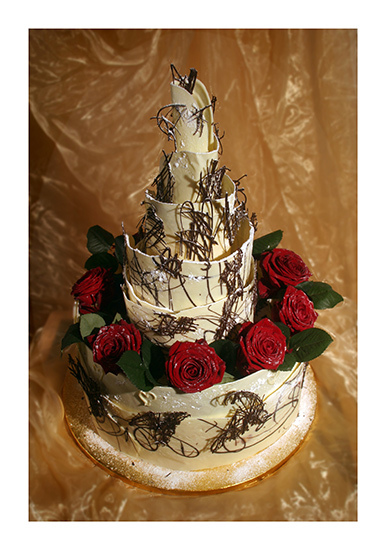 The baking maestro behind Chocolate Delores is none other than Lizzie Melling, a chocolatiere and chocolate cake mastermind who has been in the baking business for a little over 15 years now. 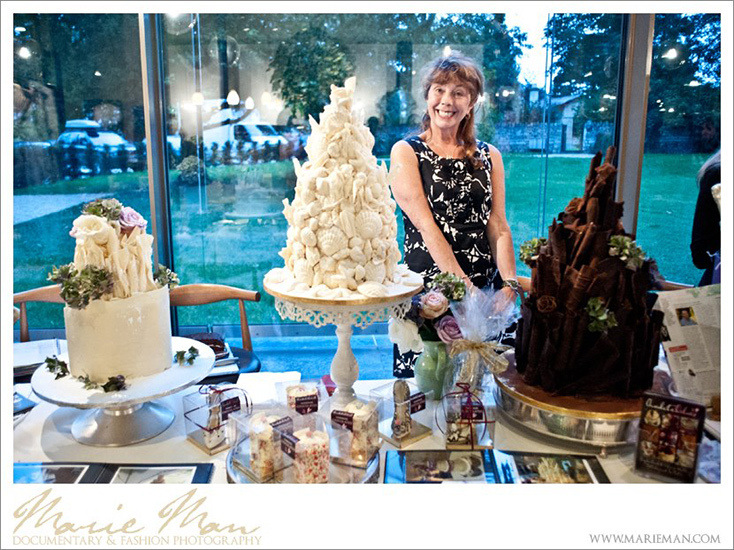 Having her passion for confectionery ignited at the tender age of ten, Lizzie spent a great deal of her subsequent life baking for social events, before becoming the chief designer and principal chocolatiere at one of Britain's leading organic chocolate cake companies. 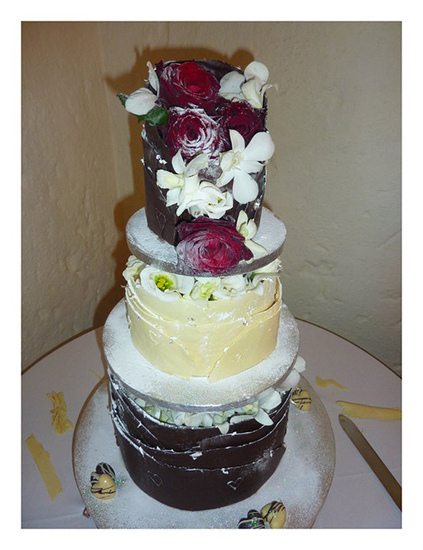 During the October of 2011, Lizzie decided to channel her passion into her very own company, and subsequently launched Chocolate Delores, working from a charming studio in the centre of Bristol. Prepare yourself for this section - your mouth might start watering! 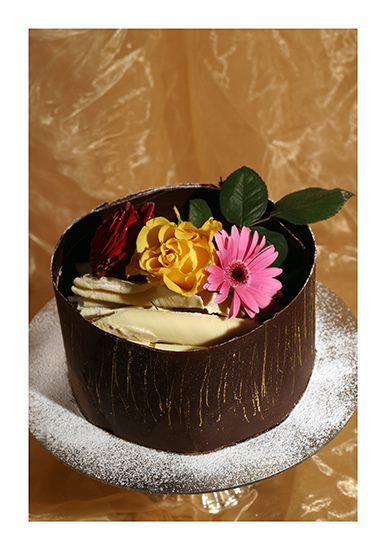 Each of Chocolate Delores' cakes is created using 70% chocolate, free-range organic eggs, fairtrade sugar and organic flour. After baking, they are then layered with Madagascan vanilla buttercream (using organic butter and milk) and Lizzie's very own homemade plum jam. Lizzie will then lavishly drizzle a goodly slosh of port across the baked sponge to enrich the flavour and help keep the cake moist. 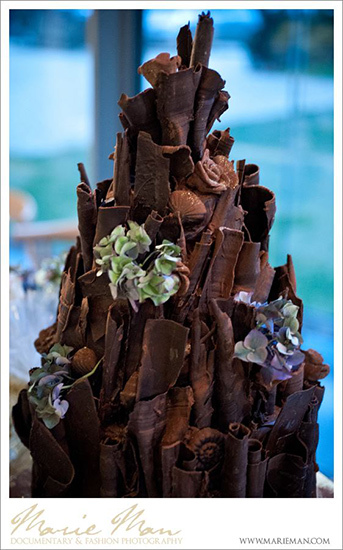 This is where the excitement begins, as the cakes are now coated in a chocolate of your choice (white, milk or dark chocolate), and then generously embellished with a deluge of decorative chocolate shards, folds, scrolls and much more! 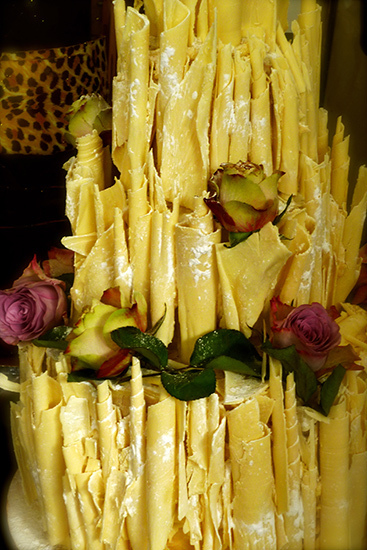 Chocolate Delores showcase a large range of expert cake-finishing techniques, of which one of the most impressive is an artistic aptitude with chocolate folds, shards and scrolls. 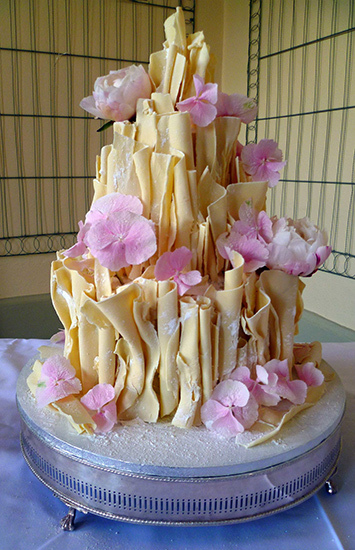 A painstaking but brilliantly effective way of presenting cakes, chocolate folds come in all shapes, sizes and forms, from towering and cascading jagged tiers to spiralling spikes and uniform-printed chocolate curtains - Lizzie Melling is capable of creating it all! Incredible stuff! 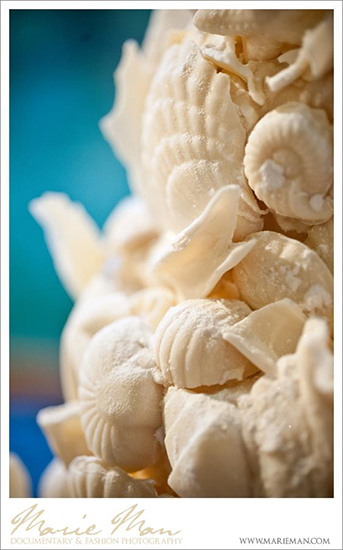 Go a little further with other edible decorative items, for instance chocolate seashells with crumbled chocolate shards, sugar hearts, chocolate roses and suchlike - all dusted with a light touch of icing sugar. 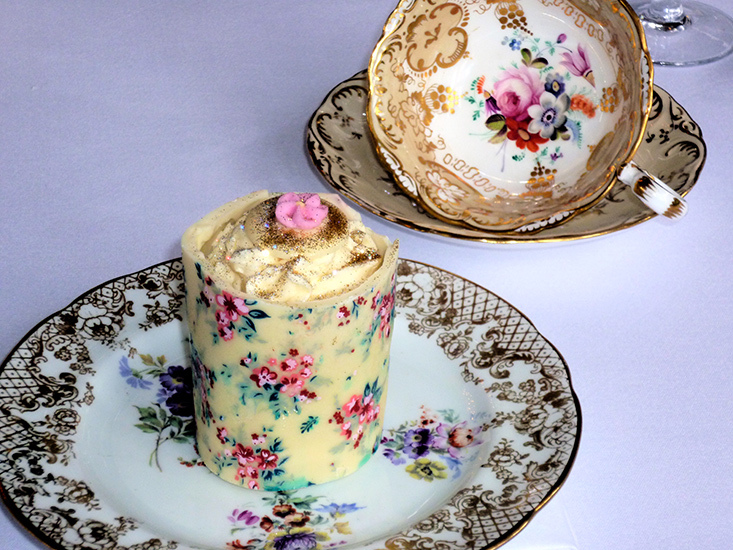 Ideal as wedding favours, Chocolate Delores can create bespoke miniature shoes in chocolate or even miniature chocolate cakes featuring intricately-designed folds. 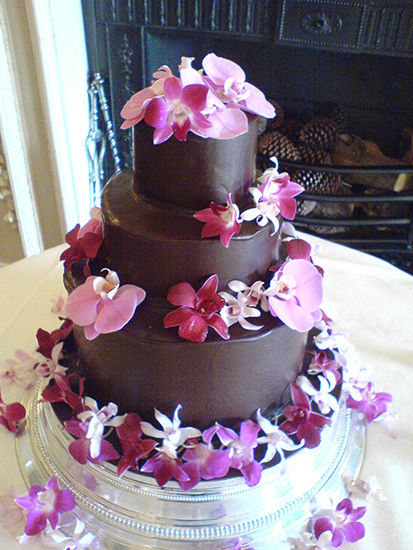 Chocolate Delores' stunning cakes get even more stunning! 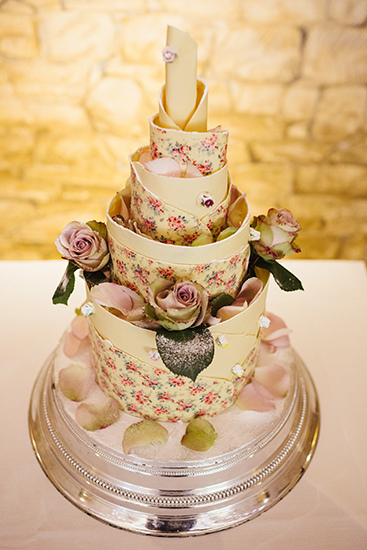 After designing, creating and delivering your cakes, Lizzie is able and willing to embellish those all-important items on your wedding day at your venue. This is as important to Lizzie as any other stage of the baking process. 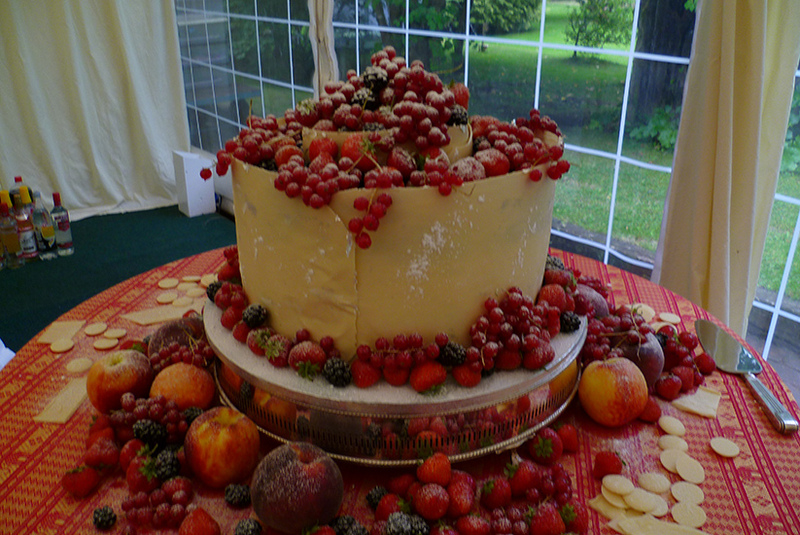 Delivering the cake to your venue herself, Lizzie is able to embellish the final cake with colour and design-sensitive items, from succulent fruits and berries to iced roses and decorative stands, including tree-trunk cross-sections. 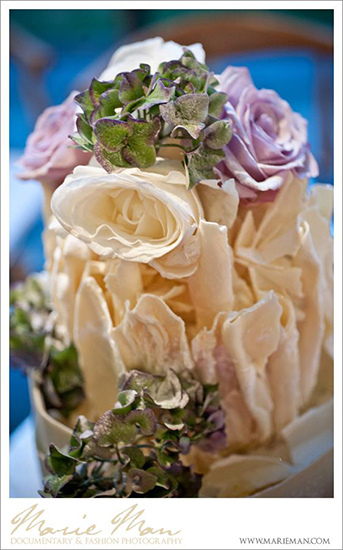 Lizzie recommends you work closely with your chosen florist if you want to feature flowers on your wedding cake - the right types of flower and their colours are vitally important to the overall presentation. 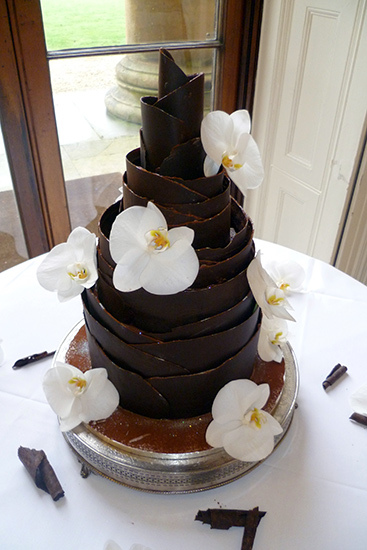 Chocolate Delores includes as standard complimentary delivery within a three-mile radius of Bristol's city centre. 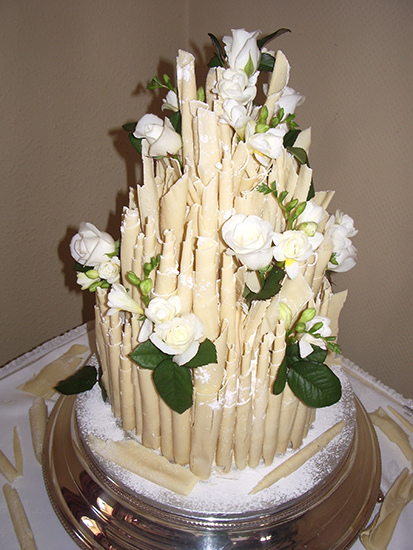 This also entails set-up, along with the aforementioned final cake decoration and presentation. Ingenious! Read on, or get in touch with Lizzie by revealing and calling the telephone number above, or by clicking the 'Email this business' button above. It's locally rumoured that she sends out free samples! 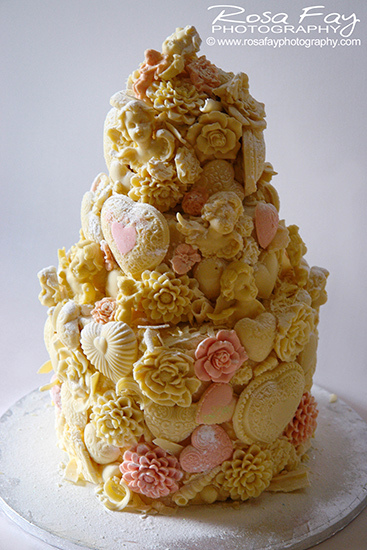 Thank you so much for the amazing cake that you made for our wedding it was beautiful. Thanks again! 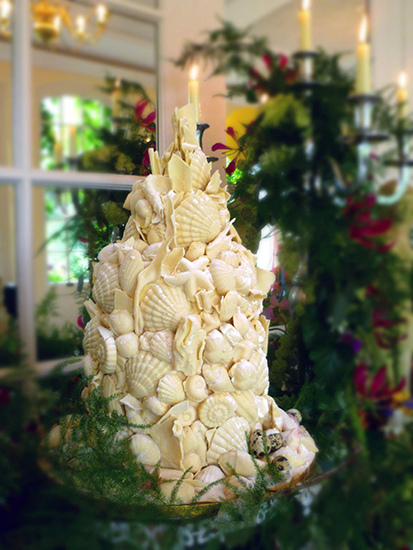 We wanted to send a card to go some way towards thanking you for your amazing cake.What an incredible addition to our wedding. 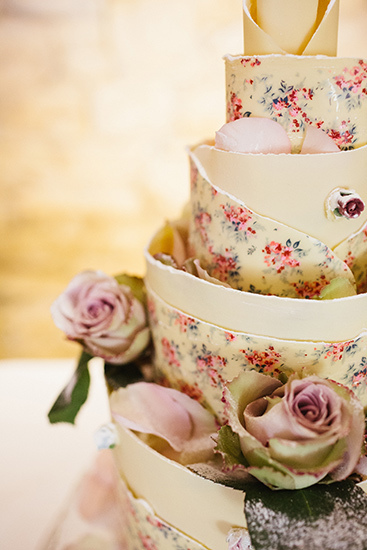 What an absolutely gorgeous cake! 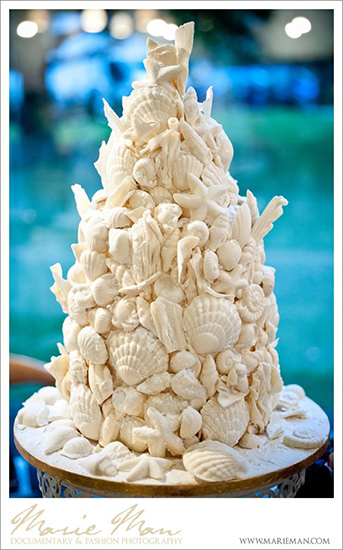 It made an impression with us all, totally delicious! Thank you ever so much! 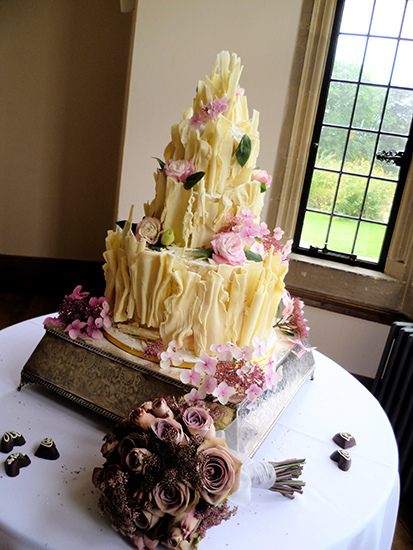 Thank you so much for our wedding cake, everyone said it looked and tasted amazing! 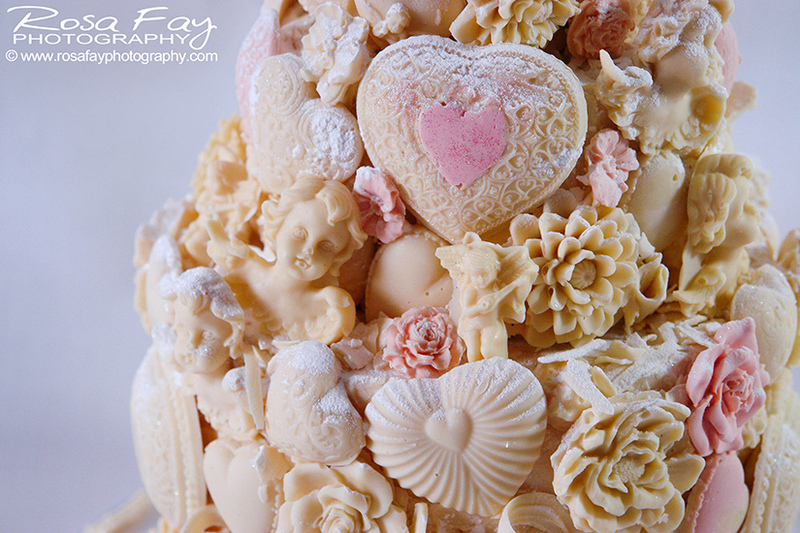 Let others know what you think of Chocolate Delores by giving a star rating and a small review.